Do all 5 movements to complete 1 set of the complex. Complete the complex 7 times, unbroken (without letting go of the bar or resting it on the ground) to complete 1 round. Complete 5 rounds, increasing the weight and resting as needed between each round. Score is max weight used for your 5th unbroken round. Allow up to 3 misses per lift before moving on. Any extra attempts may be made right after the initial miss. Add any weight per jump. Break up the run and the double unders between the partners however. 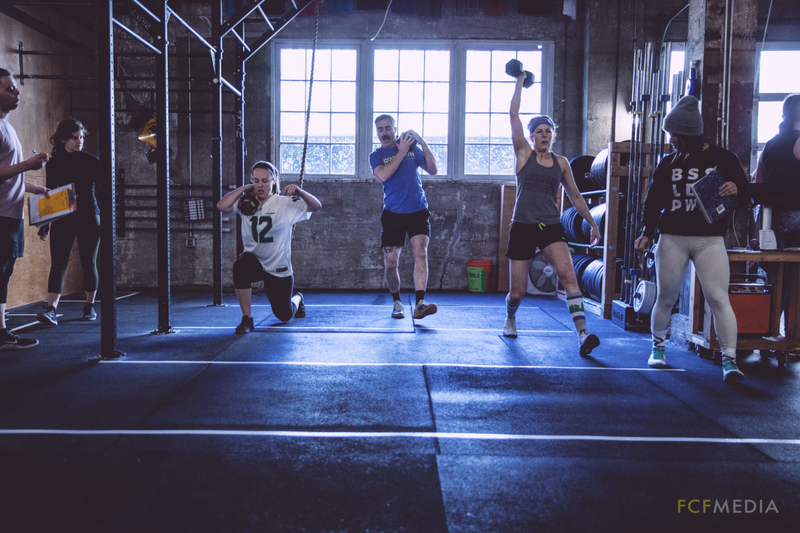 The thrusters and the burpees must be done together and synchronized.